This is the Divisional round of the playoffs! The Packers sure did have a slow start to last Sunday’s game but in the second quarter they then looked liked the team we expected to see. Time for the Cowboys, we need to get off to a better/faster start this Sunday. Kickoff is Sunday, January 15th at 1:40 PM. Here is what you need to know about this Sunday’s playoff game against the Dallas Cowboys. Kickoff is at 1:40 PM Pacific time. We do recommend arriving about one hour prior to kick off to allow you to get your seating of choice! We will accommodate as many Packer fans as possible and we expect all Packer fans to be gracious and thoughtful to the Mustard Seed staff and other patrons! Ken continues to provides us a great game day experience at the Mustard Seed for all of us Packer fans to enjoy! Here is some helpful information for Packers fans. 1) Again, we will be the only playoff game starting at 1:40 pm kickoff. 3) Seating and sound will be available throughout the entire Mustard Seed. 4) We will continue to have our charity raffle. 5) Half-time drawing for club members! There will be plenty of seating available and recommend arrival time about 1:10 PM for the game. We look forward to all of you who do join us at Cheers while the Packers are playing in the playoffs. Reminder, there will be a drawing for club members at half-time GO PACK GO! 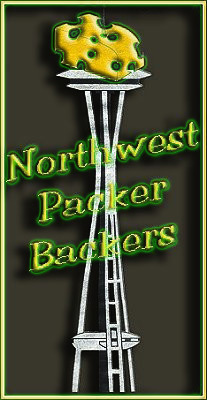 If any Sponsor/Club Member has any questions, please do email us at nwpackerbackers@gmail.com and we look forward to seeing you all! GO PACK!